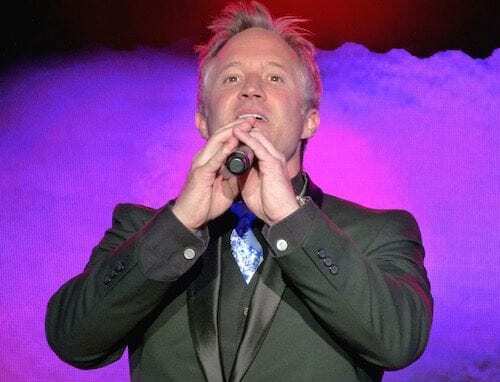 ABOARD THE VIKING SKY – Over the years, I’ve seen cruise directors who sing. A few even dance. 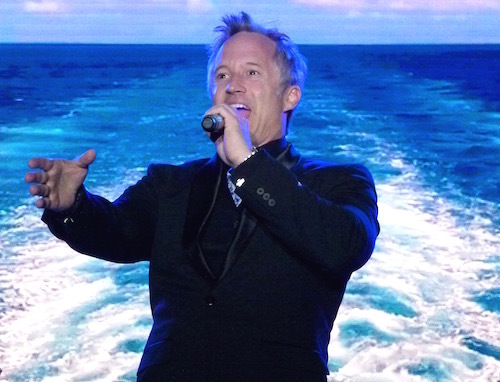 But I have never seen a cruise director who sings, dances, does handstands and flips into a hot tub filled with ice. That is our Viking Sky Cruise Director Aaron Syfert. He is a man of many talents. On our cruise, Aaron makes the morning announcement to tell us the ship has been cleared to go ashore. He usually shares the weather report, tells us where the gangplank is located and reminds us to take our stateroom key card when we exit the ship. We scan our key card when we leave and again when we return to the ship so officials will know that everyone is onboard. During the day, Aaron also participates in port talks sharing highlights of place we will visit the next day. He introduces programs and chats with passengers. He seems to be everywhere all the time. So I was surprised when one of our evening musical shows titled “Beyond the Sea” featured Aaron and the Viking Band. 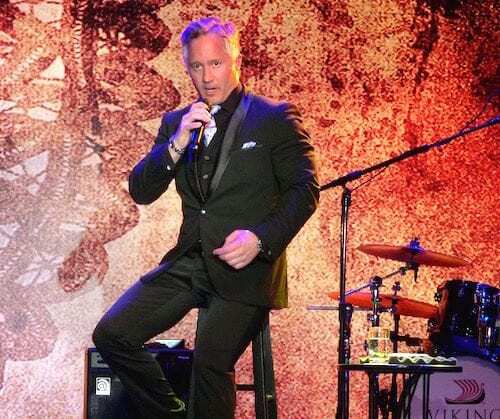 He sang the whole show, including selections from such diverse legends as Michael Bublé, Andrea Bocelli, Frank Sinatra and the Man in Black – Johnny Cash. Aaron also narrated a background show detailing some of his work over the years. A native Texan with a degree in vocal performance, Aaron was a skilled gymnast throughout his childhood and later taught gymnastics at Chelsea Piers Field House Gymnastics Facility in New York City. Just for fun he began doing handstands around the world whenever he traveled. One backdrop photo that Aaron shared during his evening performance showed Aaron doing a handstand on a camel – much to the concern of the camel owner. Aaron started his musical career by performing in numerous classic musicals including “West Side Story,” “Singin’ in the Rain,” “Oklahoma” and “South Pacific.” For six years, he appeared on the daytime soap opera “All My Children,” and was the character Sportacus for eight years in live productions of the hit children’s TV show “Lazytown.” Aaron also was the original baritone in the New York pop/opera group Adesso. But life took a different turn in 2001 when Aaron became a cruise ship performer. That led to the role of Cruise Director in 2010. Aaron has helped launch the first three Viking Ocean ships – Star, Sea and Sky. As for those handstands, he can still do them. In fact, he showed us during his Viking Sky show by moving away from the microphone and flipping himself upside down. But his most impressive gymnastic performance during our cruise was in the afternoon’s Arctic Circle “Order of the Blue Nose” Crossing Ceremony. Passengers and crew assembled on the pool deck to celebrate the maritime tradition of crossing the Arctic Circle by taking a cold water plunge. On the Viking Sky, that meant plunging into the hot tub which had been filled with ice. All first-time Arctic Circle crossers were invited to take the plunge, get a shot of aquavit to warm back up and have their noses painted blue. As a first timer, Aaron knew what was expected and was among the initial dunkers. Removing his dress jacket, belt and shoes – but keeping on his sunglasses – Aaron took an unusual entrance into the ice tub. Making a handstand on the edge of the tub, Aaron flipped into the icy water. After having his nose painted with the traditional blue brush, Aaron finished being emcee for the rest of the ceremony as passengers lined up for their initiations. Made me shiver just to see him standing there in his soaking wet clothes and blue nose. As Viking Sky cruise director, Aaron Syfert really goes above and beyond. Aaron lived just around the block from our family. He and my son started playing soccer and baseball together at age 4 I believe. They were friends all through school and college the first year. He’s one awesome young man! Look forward to sailing on the Sky in the future. Viking is fortunate to have Aaron Syfert!